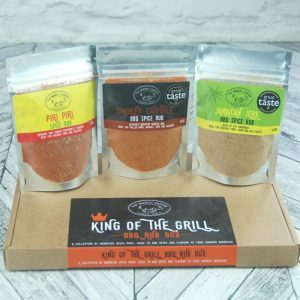 Our range of Sugar Free barbecue rubs and seasonings are perfect for adding flavour for those that are counting the calories. 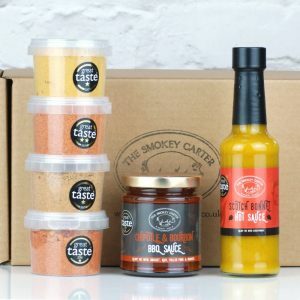 Box includes 3 x 90g rub shakers. 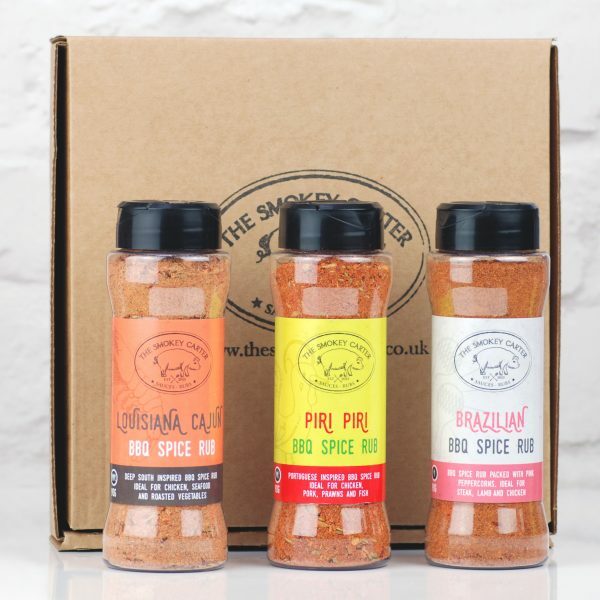 Packed with flavour these seasonings are suitable for vegetarians and vegans. They’re also gluten free. 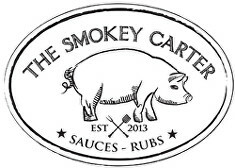 Each rub shaker contains 90g of seasoning. Flip the top and shake over stir fries, pasta bakes, meat for the oven or the barbecue. 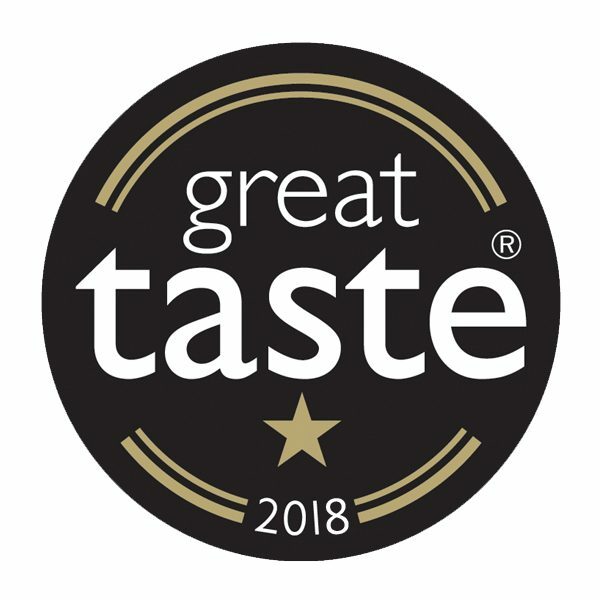 Our Piri Piri BBQ Rub (Won 1 Gold Star at the Great Taste Awards 2018) is great on chicken, tofu, halloumi or even mixed with oil for a tasty salad dressing. 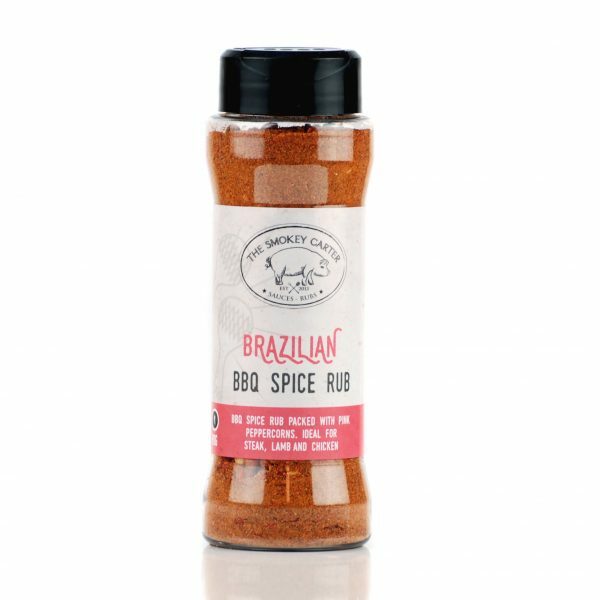 The Brazilian BBQ Rub (Won 1 Gold Star at the Great Taste Awards 2018) is packed with pink pepercorns and is brilliant on steak. 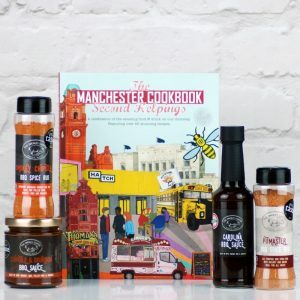 If that doesnt take your fany, simply shake over roast potatoes towards the end of cooking. 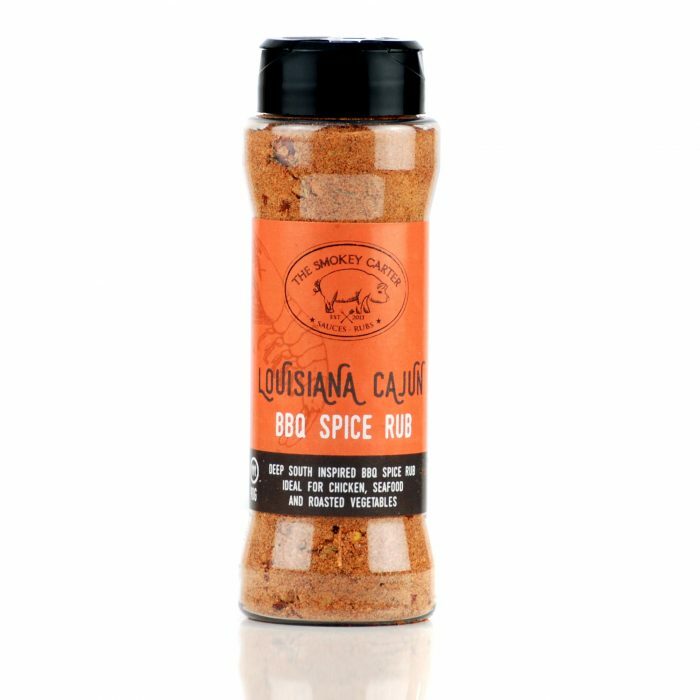 Last but not least our Louisiana Cajun BBQ Rub packs a punch and can be dusted over pan fried prawns or added to soups and stews. As they are all sugar free they are perfect for low calorie meals and helping you stick to one of the many slimming programmes out there without compromising on flavour. 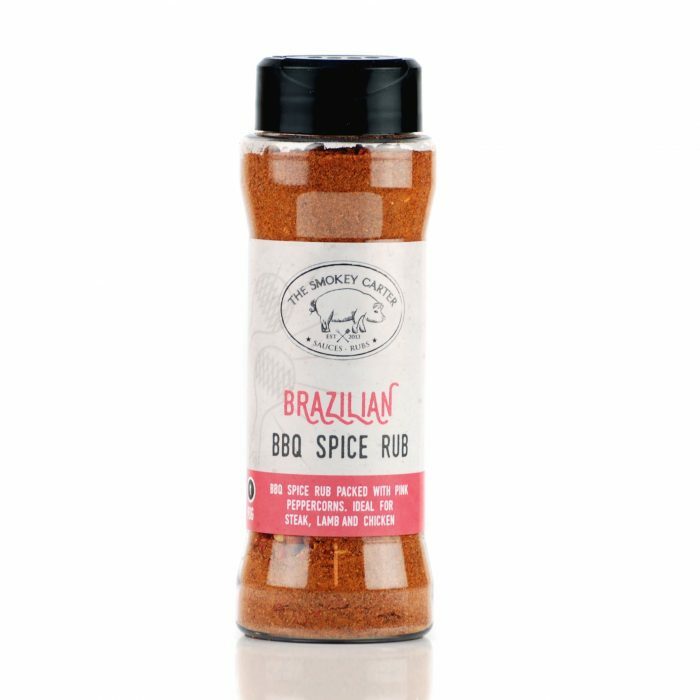 Brazilian BBQ Rub – Ingredients; Paprika, pink peppercorns, salt, chilli blend, pepper, garlic, ginger, cumin, coriander, onion powder, all spice, cinnamon. Louisiana Cajun BBQ Rub – Ingredients; Salt, paprika, garlic, chilli crush, onion, cayenne, pepper, Mexican oregano, thyme, coriander, cumin. 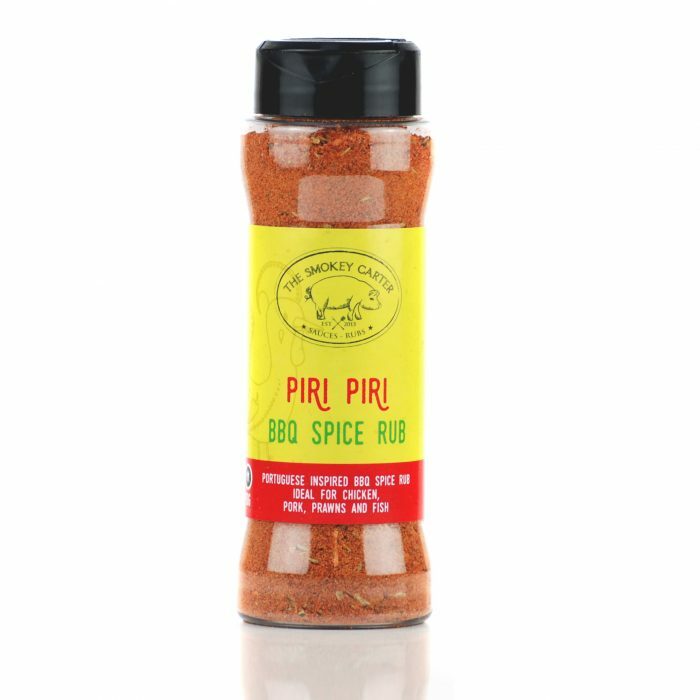 Piri Piri BBQ Rub – Ingredients; Paprika, salt, garlic, tomato, chilli powder, Portuguese oregano, smoked paprika, chilli flakes, coriander, Mexican oregano, citric acid, pepper.